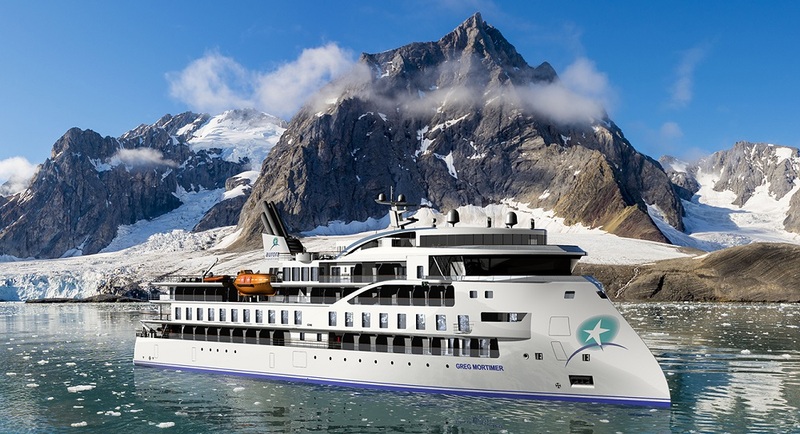 Aurora Expeditions, Australia’s leading expedition cruising company, has today launched the full program for its new world-class expedition ship, the Greg Mortimer, and its inaugural 2019/2020 polar season. Following Greg Mortimer’s maiden sea voyage ‘Spirit of Antarctica’ in late October 2019, the ship will operate an additional 20 expeditions across the 2019/2020 season with itineraries spanning Antarctica (Antarctic Peninsula, South Georgia and Falkland Islands) and the Arctic (Svalbard, Franz Josef Land, East Greenland, Jan Mayen, Iceland and Norway). Launching with the itineraries are two exclusive deals including a free upgrade from Aurora Stateroom to Balcony Stateroom, valid on all 2019/2020 Antarctica and the Arctic voyages, or the option to save up to £4,300 per person on other selected cabin categories. Robert Halfpenny, Managing Director of Aurora Expeditions, said of the launch, “We are delighted to launch the Greg Mortimer program and these exclusive deals – the countdown until the first voyage has well and truly begun! For more than 25 years, we’ve been driven by the passion to explore, and we’ve always chosen the best ships to do so. The Greg Mortimer has been purpose-built for adventure and will set a new standard for expedition cruising, while continuing to provide the authentic, small group adventures that we are known for. The state-of-the-art Greg Mortimer will redefine expedition cruising as the first expedition cruise ship to feature the patented ULSTEIN X-BOW®. The new 104-metre ice class 1A expedition ship will utilise the latest advancements in naval design and technology to make exploring remote destinations even easier, and to create a more enjoyable and comfortable expedition experience for the 120 expeditioners on board. The main advantage of the ULSTEIN X-BOW® is its ability to pierce waves with much greater stability than a traditional bow whilst maintaining speed. Because it uses less fuel to get through the waves, it also improves fuel efficiency and reduces air emissions. Safety is a core principle for Aurora Expeditions and the Greg Mortimer will feature the latest ‘return-to-port’ technology, as well as virtual anchoring and dynamic positioning to ensure the protection of the Poles’ delicate sea floor. Getting up-close to nature is at the core of the ship’s experience, and the new ship better facilities this immersive experience, through its 15 Zodiacs, sea-level activity and Zodiac launching platform, as well as 360° observation decks. Additionally, passengers will have the option to attend onboard lectures delivered by some of the world’s leading experts, enjoy a drink in the panoramic observation lounge, or unwind in the wellness centre. The vessel was named Greg Mortimer in honour of the Australian adventurer and Aurora Expeditions co-founder. Mortimer co-founded Aurora Expeditions in 1991 with his wife Margaret, with a shared passion for adventure, exploring wild places and sharing the experience with friends. Their aim was simple: to take small groups of travellers on voyages to regions that inspired them, thereby creating lifelong ambassadors for the preservation and protection of these sacred places. The new ship will complement the company’s existing fleet of vessels, travelling to destinations worldwide. Bookings go on sale from 22 January 2018.